﻿﻿For the outdoor adventurer, this day trip takes you to one of our absolute favorite locations: Tegernsee lake in the foothills of the Bavarian Alps. But, as opposed to our more relaxed Tegernsee tour that includes train travel and ferry rides, this one features a few hours of hiking from Lake Schliersee, over a small mountain, and down to Lake Tegernsee. 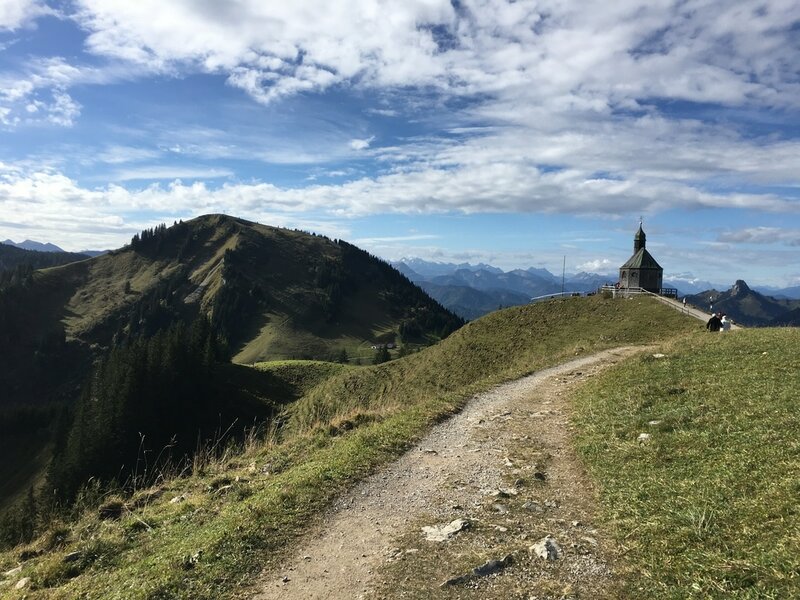 This hike is one of our personal favorites and includes amazing views of the Alps and lake scenery, a great medium-level hike, and great stops for beer and food. After taking a comfortable train ride directly from Munich, we arrive a few minute walk away from Schliersee. This small lake in the Alpine foothills offers amazing views to start our trek. We then continue on a small but well-kept trail westward towards Tegernsee, a larger lake over the small mountain. The hike winds us past ponds, local farms with animals roaming, and past 3 different huts all serving beer, food and snacks, and great views. We will definitely take advantage of their hospitality and wonder why we live in big cities when we could run an Alpine Hut in this beautiful setting! 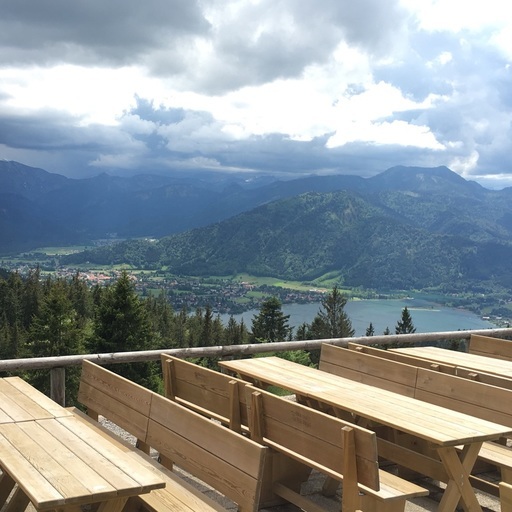 At the last hut, we get a great view over Tegernsee and our destination: the Tegernseer Bräustuben, a fantastic beer garden and restaurant on the grounds of a more than 1,000-year-old former Monastery on the lakeside. You may be a bit exhausted, but ready for your delicious and well-deserved reward! 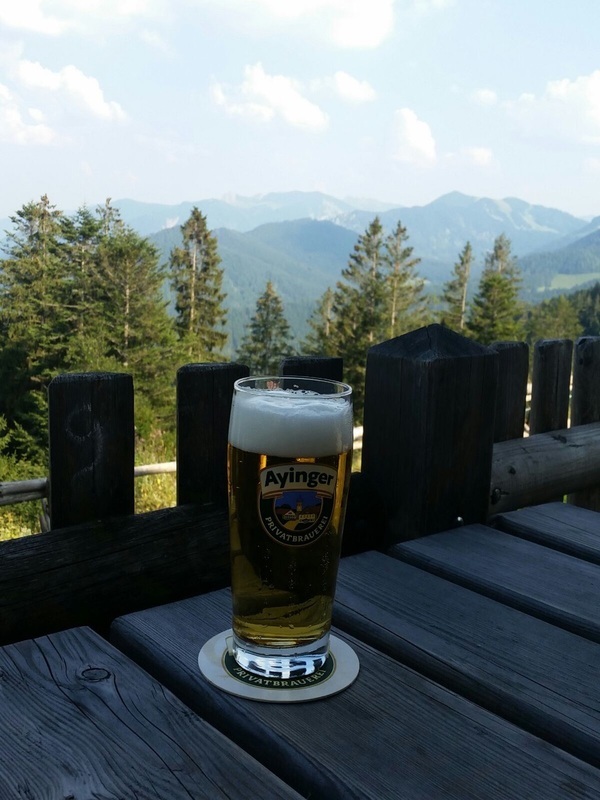 We will have free time afterwards to relax on the lake, check out the cute town of Tegernsee with half-timbered houses, browse their quaint gift and beer merchandise shops, and enjoy some gelato or coffee before heading back to Munich. This tour includes a medium-level hike that lasts around 3 hours at a leisurely pace with multiple breaks. The first half of the hike requires uphill climbing and many pauses along the way. The path and tour is not suitable for small children or those who need help walking. When we reach the top and the main uphill climbing section is finished, we take a break at a wonderful Alpine hut to refresh ourselves and take in the great view. The rest of the hike is mostly flat along the mountain before we find the last hut and it heads downhill to the next lake. This is a trip that we have taken multiple guests and friends on and all have commented on how unbelievably great the trip and views are. But that being said, it does require caution, suitable shoes, at least 1-2 liters of water per person, and snacks along the way are advisable. The Thirsty Historian and your tour guide are not liable for your not following our advice on this tour. Come join us to take in a wonderful hiking day between these two lakes in the Alps! This hiking day trip takes place starting in March until the end of October or otherwise weather-permitting. ​Full-day tour starts at €200/person (minimum 2 people) including train travel.